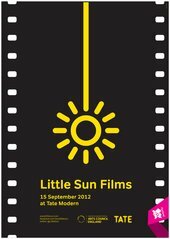 Special screening of the Little Sun films in the presence of the artist and the filmmakers. Part of Olafur Eliasson: Little Sun, this series of short films was created by eighteen internationally acclaimed filmmakers from Africa, Asia, the Middle East, and South America whom Eliasson invited to respond to his Little Sun solar-powered lamp. The collected film material, shot in a range of formats and styles, has been edited into short films by Jacob Thuesen under the supervision of Olafur Eliasson and Tine Fischer. These address local phenomena, atmospheres, occasions, or personal feelings, and relate to life, light, and energy access in broad artistic terms. Mauro Andrizzi, Edwin, Hawa Essuman, Julio Hernández-Cordón, Khavn, Natasha Mendonca, Alejo Moguillansky, Omelga Mthiyane, Peter Tukei Muhumuza, Sherman Ong, Peru Ana Ana Peru, Kivu Ruhorahoza, Oscar Ruiz Navia, Dominga Sotomayor, Anocha Suwichakornpong, Susan Youssef and Man Kit Lam. Olafur Eliasson is in conversation with Dominic Willsdon (Tate Modern). The Unilever Series: Olafur Eliasson The Weather Project: Press related to past exhibition.